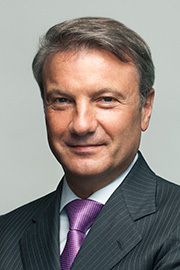 We strive to do business in a way that would benefit all parties Sberbank Europe interacts with. For Sberbank Europe, Corporate Social Responsibility is an approach, which we use to build relationships with our stakeholders. We strive to do our business in a way that would benefit all parties Sberbank interacts with. "It is crucial for us to support and promote initiatives capable of improving the life of our customers, their families and society in general"
Sberbank Europe recognizes the need to regularly provide reports on its impact on society, the economy and the environment. We strive to ensure transparency of our resolutions and activities that affect society, the economy and the environment. What matters to our stakeholders? 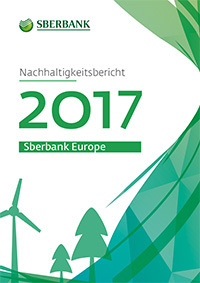 In 2017, Sberbank Europe started the process of defining, analyzing and evaluating the most relevant areas in relation to sustainability and corporate social responsibility. Sberbank Europe conducted a comprehensive impact analysis – an overview of topics within our scope of business, which have a direct social or environmental effect on our stakeholders. The priorities are subject to a yearly evaluation and update conducted by Sberbank Europe’s non-financial priorities core team. Products & Services: Ensuring quality and accessibility of products and services for our customers through an omni-channel approach. Responsible financing: Contributing to regional economic development and prosperity by providing financial solutions to local customers. Responsible financing by supporting sustainable regional industries. Serving as a bridge to Russia for CEE companies doing business in Russia/CIS countries. Employees: Supporting health and work-life balance by fostering corporate culture, enabling diversity, while enhancing career development and a fair and transparent remuneration policy. Environment: Enhancing energy efficiency and minimizing negative environmental impact by sustainable resources management. Compliance: Prevention of corruption as well as money laundering and protection of human rights by responsible and ethical conduct. Security: Ensuring physical as well as information security and data protection of all Sberbank Europe stakeholders. Charity and sponsorship: Supporting local initiatives, projects and events with a social or cultural dimension and promoting a healthy lifestyle. Stakeholder Communication: Enhancing transparent and regular communication with all stakeholders of Sberbank Europe. Our corporate values are at the core of our attitude toward life and work; they are an internal compass that help us make decisions in complex situations. All for the customer: All our activities are built around clients and are in their interests. We aim to surprise and delight clients with the quality of our services and attitude. We aim to exceed our clients’ expectations. We are a team: We gladly help each other working to achieve a common goal. We help our colleagues grow and develop. We are open and trust our colleagues. I am a leader: We take responsibility for our actions and for what is happening around us. We are honest with each other and with our clients. We continuously develop and improve ourselves, the bank, and our environment.